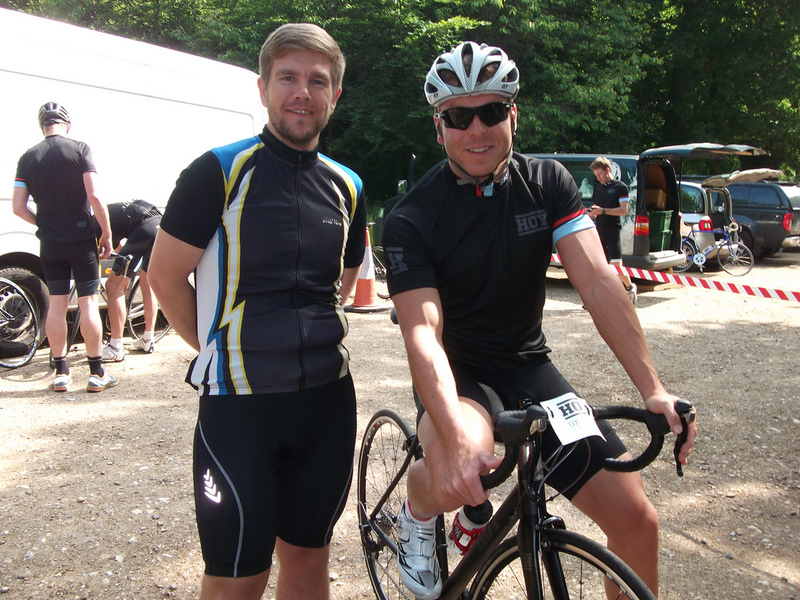 This week I was lucky enough to ride with the Olympic Cycling Legend that is Sir Chris Hoy. 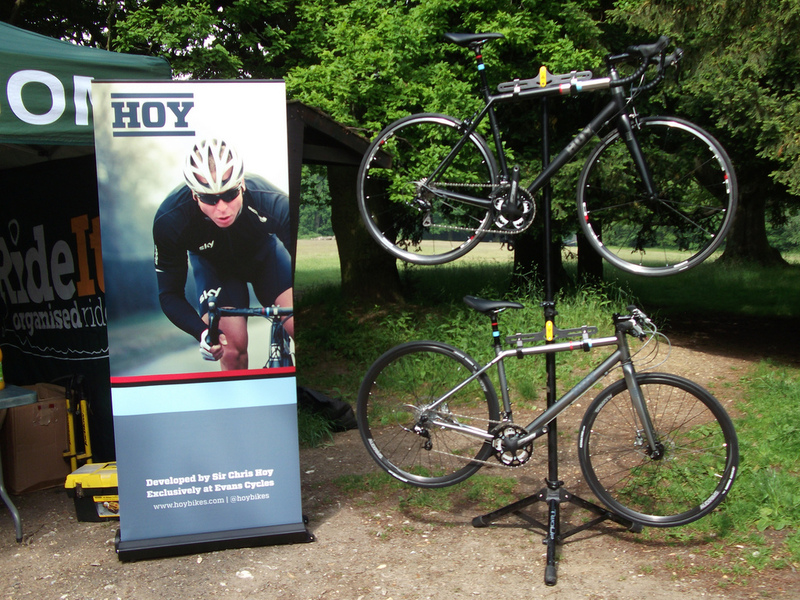 Thanks to Evans Cycles I got a place on one of the HOY Tour rides to promote the new range of HOY Bikes. Box Hill is a cycling mecca and I'd never ridden it before. It was used as part of the 2012 Olympic road race, which I got a chance to watch in person. Once Chris arrived we were given some time to chat and get autographs before the ride started. I was in the middle group and we left in 3 minute intervals. After a while Chris would drop back and join the next group, chatting to us and we rode. 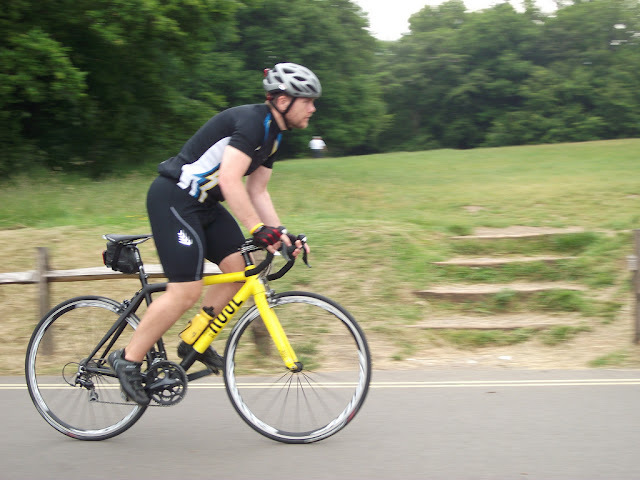 Riding the Box Hill Loop wasn't difficult at the pace we were doing but the final climb definitely got our pulse rate up. After the 8 mile loop we reconvened at the car park and had coffee and cake and more time with Chris. Chris came across as a very genuine and down to earth bloke. A proper nice guy! At 12pm when Chris had to leave I decided I'd like to do another loop of the Box Hill circuit. I rode the full loop from the East car park and then carried on to the village before turning around to descend the zig zags. 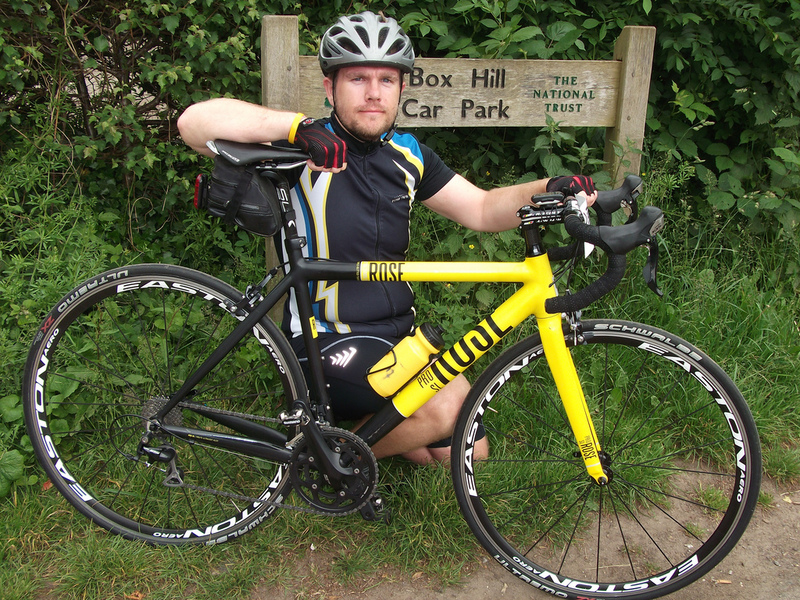 When I got to the bottom I had to climb Box hill for a third time. After that I was knackered and packed up to go home. A very memorable day indeed.